Based on your doctor's recommendations, your employer's insurance requirements, or even your own online research, you've scheduled to have a sleep study performed to help you better understand why your sleep habits are negatively impacting your life. Whether your symptoms include chronic snoring, pauses or gasps during sleep, excessive daytime sleepiness, falling asleep at inappropriate times, trouble falling asleep at all, or a number of other sleep related disorders or medical conditions, having a sleep study performed can help you get to the bottom of your ailment, and start getting the treatment you need to better your life. At The Alaska Sleep Clinic we help thousands of Alaskans every year with their sleep troubles, often through having them come in for an in-lab sleep study. Many of our clients have asked us the same questions you're probably thinking right now: "What is a sleep study, how does it work, and how do I prepare for it?" This article sets out to answer these questions and more to help you better understand the processes involved in your upcoming sleep study. In preparation for your in-lab sleep study, it's important to know some of the key differences between the different types of sleep studies offered at sleep clinics. Sleep related breathing disorders such as obstructive sleep apnea (OSA). Sleep related movement disorders such as periodic limb movement disorder (PLMD). Sleep related disorders caused by excessive daytime sleepiness (EDS). Multiple Sleep Latency Test (MSLT). 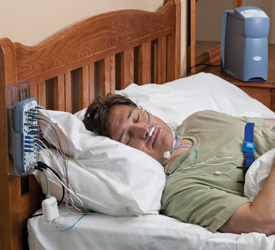 A MSLT is a sleep study that is performed during the day to measure how sleepy you get or to discern whether breathing treatments for your disorder are working properly. MSLT's generally follow a Polysomnogram and record whether you fall asleep during the test, and if so, which stages of sleep you enter. In an MSLT you are generally given five 20-minute nap opportunities spaced 2 hours apart while a sleep technician monitors your brain activity and eye movements. An MSLT is often used to test for narcolepsy. Maintenance of Wakefulness Test (MWT). 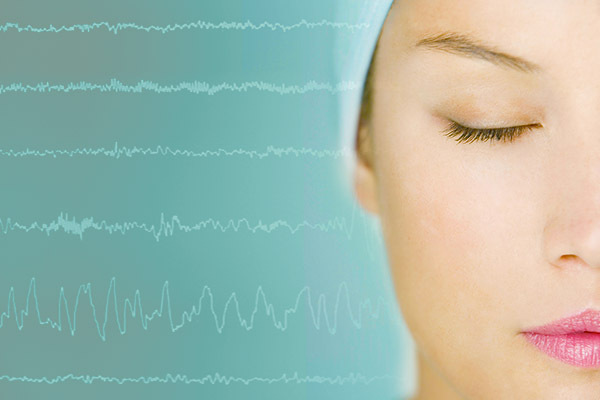 A MWT is a daytime sleep study that measures how alert you are during the day and your ability to stay awake. They are usually performed after a PSG and can help determine if your sleepiness is a safety concern. Results of an MWT can be critical if a person's job involves public transportation. Often, employers will require an employee to have an MWT if they have a history of excessive daytime sleepiness or other related sleep disorders. Arrive shortly before your usual bedtime, approximately between 8 p.m. to 9 p.m. for an overnight study. Make sure you have already had dinner and are ready for bed. Bring your morning bathroom supplies. Wires with small cup electrodes attached to your scalp with a conductive paste to measure brain activity. This lets the tech know if you are sleeping, and what stage of sleep you are in. Wire electrodes are taped to your face near the eyes and chin to show muscle activity. These electrodes are used to measure eye movements, which also give clues to sleep stages, as well as chin movements which can observe possible nocturnal teeth grinding as well as other sleep disorders related to muscle activity. 2 elastic belts around your chest and stomach to measure breathing effort. A wire electrode on each leg to measure body movement/muscle activity. Once you have been hooked up to the various machines, the RSPGT will begin monitoring the data from another room. They will communicate with you via an intercom system and run through a series of tests to calibrate the equipment. When the calibrations are finalized you are encouraged to sleep. Being able to sleep comfortably outside of one's own bed while hooked up to a myriad of wires may seem an impossible feat. But it's really not. Rarely does a sleep study fail because the patient was unable to sleep. Even if you think that you didn't get any sleep during your overnight sleep study, you may be surprised to find that you slept much more than you realized. And even if you really didn't get a whole lot of sleep during your study, chances are you slept enough to obtain an adequate amount of data. In the morning, around 6-7 a.m., the sleep technician will wake you, remove your monitors, have you fill out some more paperwork and allow you to go home or to work. Most sleep clinics have facilities available for showering and getting ready in the morning so that you don't have to run home first to prepare for your day. The RSPGT will not be able to share your results with you. Instead, the information is sent to your doctor or a sleep specialist for evaluation. Your doctor or sleep specialist will review the results of your sleep test as well as your medical history and sleep history to make a diagnosis. Results from the sleep study often take a week to 10 days to get reviewed and finalized before you will be contacted with the results. At this point, if a sleep disorder was detected in the study, your doctor or sleep specialist will go over possible treatments for your condition.